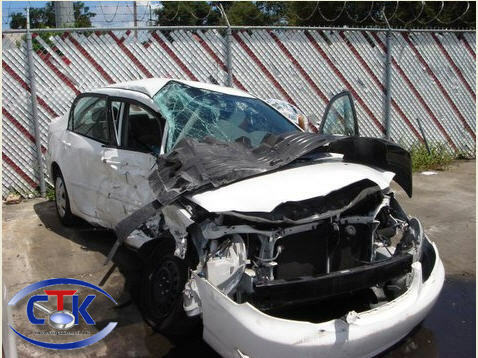 The Florida automobile private investigators at CTK INVESTIGATIONS, LLC, know how traumatic car crashes can be. After investigating thousands of car accidents, our Hollywood Florida private detectives have a comprehensive understanding of what it takes to successfully navigate a personal injury case in Florida. We can explain the following terms to you so that you understand the “personal injury lingo”: PIP, BI, UM, UIM, Med Pay, and Umbrella. Moreover we can explain the sequence of events in a car accident, motorcycle accident, ATV accident, scooter accident, or any other traffic accident in Florida. Our private investigators work with the best and most aggressive personal injury attorneys in Florida. Our agency works with many of South Florida’s personal injury and car accident lawyers on a daily basis. If you currently do not have an attorney to assist you with your injury and accident claim, we may be able to recommend one of the firms that we work with that has successfully represented our clients in the past. We understand the stresses on your family as well as mounting medical bills, lost wages, and other expenses can be overwhelming. We can thoroughly investigate your car crash, explain what happens in a “typical” car accident case, and we can even possibly recommend a car crash attorney in South Florida to represent your interest. If you or a loved one have suffered injuries or property damage because of a car crash in Florida, our private detectives can help you. We have successfully investigated thousands of car-crash accidents that resulted in unfortunate injuries from minor to traffic and train related fatalities. · There are over 40,000 deaths due to car accidents every year. · About 40% of fatalities occur because of a drunken driver. · About 30% of fatalities are due to driving exceeding the speed limit. · 33% and above, because of reckless driving. If you or a family member was the victim of a car crash due to someone else’s negligence, contact, CTK INVESTIGATIONS, LLC today for a FREE consultation about your injury accident and our investigative services. Cory T. Knight can be reched at (954) 652-0733, or if you prefer you can click here to contact our Ft. Lauderdale / Hollywood Florida private detective agency via e-mail.